I practiced just about every possible dish I could have gotten on my cooking practical a few weeks ago so I have a bunch of leftovers. 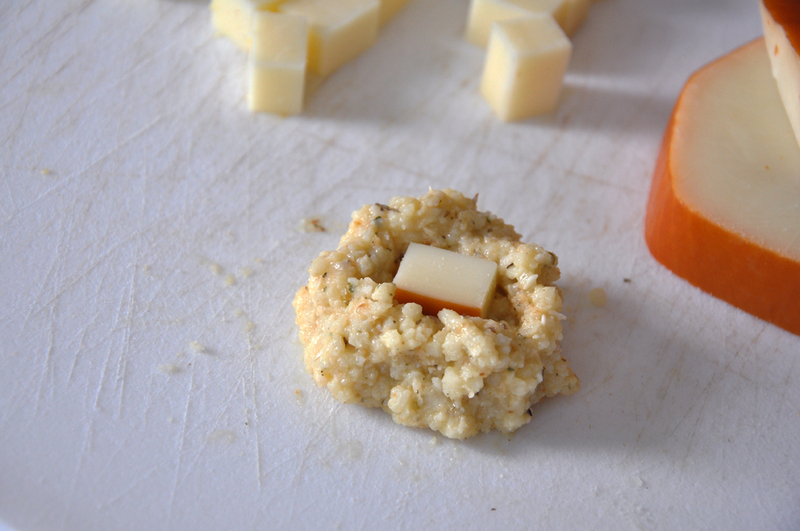 I threw the cooked risotto into the freezer thinking I'd try later to make one of my favorite Italian appetizers - arancini. Well, today is the day! Arancini are just what leftover risotto was made for because risotto is overcooked about three seconds after you serve it. 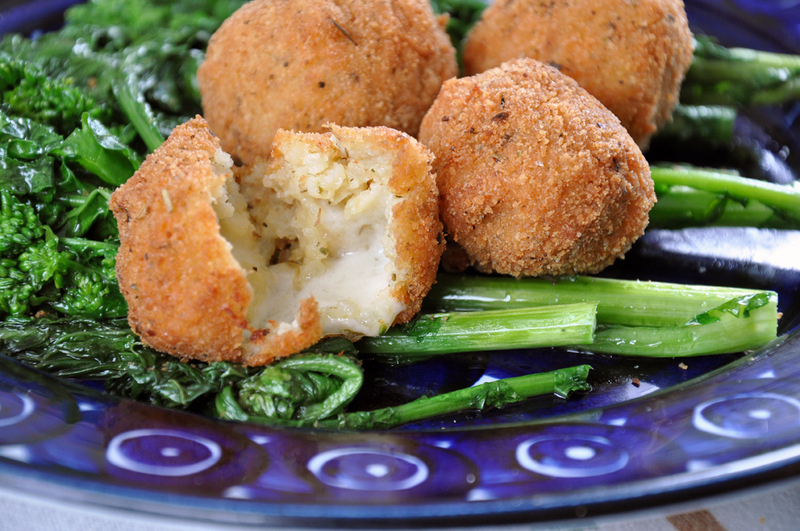 Here, the risotto is mixed with breadcrumbs and eggs, and then wrapped around cheese and deep fried. Typically it's served with tomato sauce, but I plated mine with sautéed broccoli rabe. These little guys have remarkable nutritional value, including being low in carbs and high in calcium, iron, phosphorus and thiamin. Make the risotto (without the peas) and cool to room temperature, or make and chill overnight. Heat the oil in a medium pot over medium heat. It should be 2-3" deep. 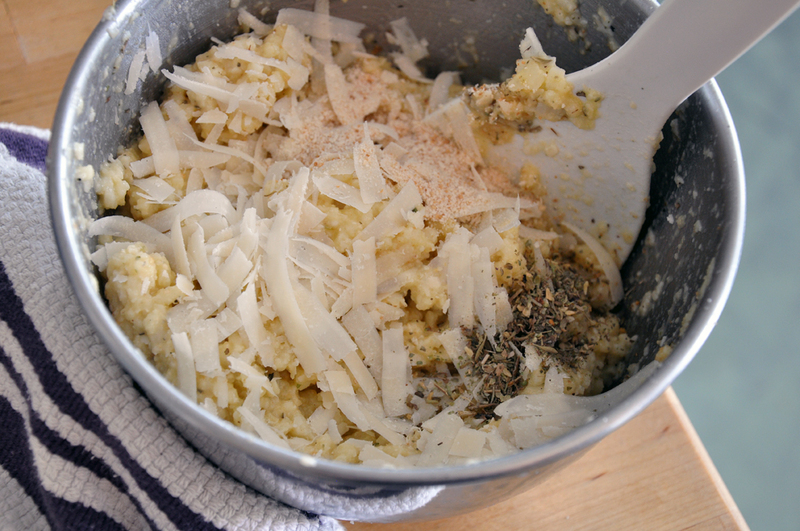 Meanwhile, mix together the cooled risotto, parmesan, eggs, 1/4 cup breadcrumbs, and 3 tsp Italian seasoning in a bowl. Spoon out tablespoon portions of the risotto mixture, flatten in your hand, put a cube of mozzarella in the center and form the risotto around it so it's completely covered. 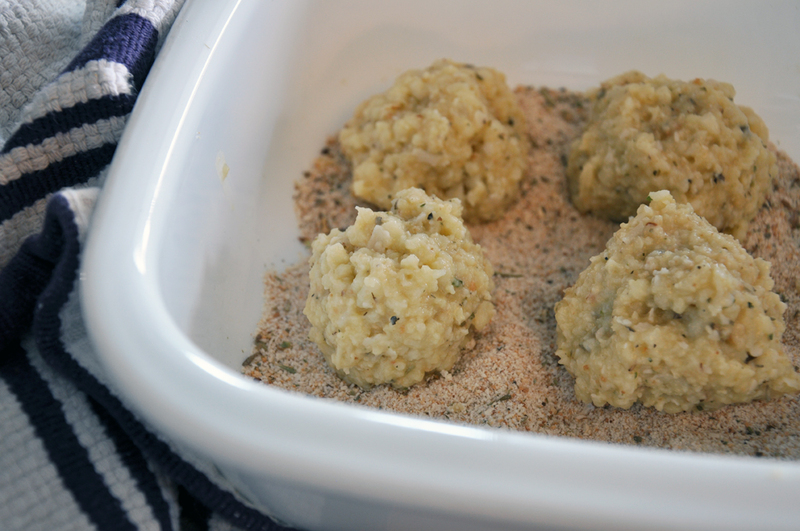 Put the remaining 1/2 cup of breadcrumbs and 1 tsp Italian seasoning in a shallow dish and roll the cheese-stuffed risotto ball in the crumbs until covered on all sides. Carefully drop the ball into the hot oil and fry 3-5 minutes until golden on all sides. Remove to a paper-towel-lined plate. 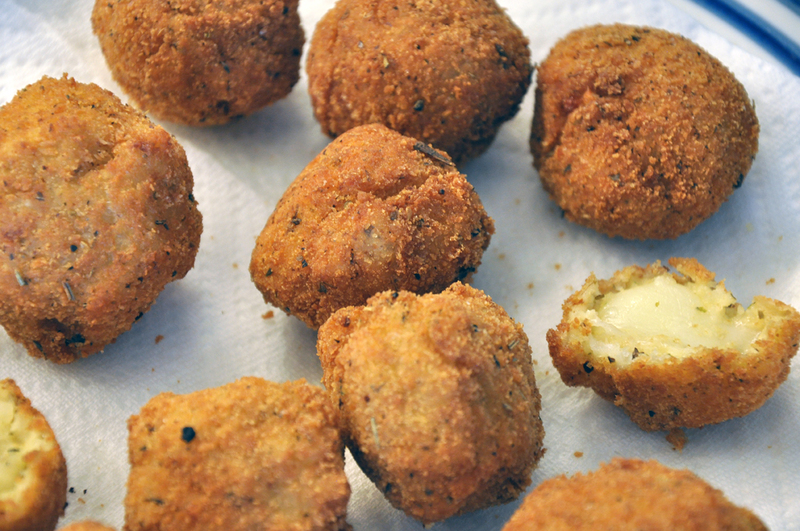 Repeat and fry the arancini in batches - 3-4 at a time. Serve hot.